The small alpine country has an open policy toward drug addicts; in fact Switzerland is one of a few countries to provide addicts with free methadone and clean needles. Experts say that Switzerland’s open policy towards drug addicts should serve as a model for other nations to follow. 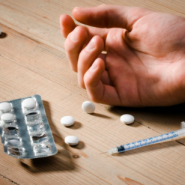 They also stated that openly acknowledging drug addicts and providing them with clean needles has greatly reduced deaths rates and considerably reduced crime. “The Swiss population has generally always had a high addiction liability in comparison to other European countries,” said Professor Ambros Uchtenhagen president of the Addiction Research Institute at Zurich University. Pundits agree that countries whose drug policy remains focused on punishing offenders like Russia and most of Eastern Europe should learn from Switzerland’s “harm reduction policy,” that protects both users and the community. Switzerland’s harm reduction policy started back in the 1980s when an HIV epidemic broke out and open drug scenes were attracting many youth such as in Platzspitz park nicknamed needle park in Zurich prompting official to immediately take action. At the time the Swiss community was astounded and fed up with what they saw, while health officials warned of dangers to disease. Given the situation, a range of harm reduction initiatives were implemented and developed, these included housing and social support, street and prison work, supervised injecting rooms and heroin-assisted treatment. “We had to change perspective and introduce the notion of public health. We extended a friendly hand to drug addicts and brought them out of the shadows,” said Ruth Dreifuss a former Swiss president and interior minster in a press briefing. Some of that extended help included providing addicts with syringe exchange programs, safe injecting rooms offering a shower, bed and hygienic conditions under medical supervision. Professor Uchtenhagen said that some 70% of the 20,000-30,000 cocaine users in Switzerland now receive treatment, which makes it one of the highest in the world. “The number of drug injectors with HIV has been reduced by over 50% in 10 years, overdose mortality among injectors has been reduced by over 50% in the last decade,” said professor Uchtenhagen. Among the other notable achievements of the harm reduction policy is that crime related to drugs has remarkably reduced noted professor Uchtenhagen. Police in Switzerland target dealers rather than focus on drug users themselves, they also train their officers along with health workers to address drug addiction problems. Many people are arrested every year for drug offences, but in Switzerland the numbers have dropped marginally because of the harm reduction policy. Doctor Michel Kazatchkine former executive director of the Global Fund to Fight AIDS said that he is impressed with Switzerland’s harm reduced reduction policy. “Switzerland is clearly a pioneer, “ doctor Kazatchkine said. “Every year up to 10% of all new HIV infections worldwide occurs through injecting drug use,” he added. An estimated three million of the 33.4 million people living with HIV virus inject drugs, there is a huge probability that HIV could spread through drug syringes. “I am really impressed with the policies Switzerland has put in place, which are based on sound science and grounded in good global health policies and human rights,’ he stated.